Is that what they really think of the residents who care? I have written twice now criticizing the council hiring political allies and insiders to fill roles within the City. If you have missed those stories, click here and here. I can't help but wonder if it is a new policy that all OPRA requests are reviewed and handled by the City Attorney as the majority of my OPRA requests have resulted in communications with Mr. Scrivo the City Attorney. Seems like it could get expensive if such is the case. Now, I was especially troubled by two hires. My first concern was over the hiring of Thom Ammirato the Citizens for Change paid public relations/campaign manager for the position of Public Relations consultant for the City. I have noted the potential conflicts that arise out of the CFC cheerleader becoming the voice for the City, especially a voice that was notably brash and confrontational with voters before the election. Mr. LaBrosse, the Mayor, rather than worrying about the validity of this residents concerns and addressing them wanted to do "damage control" and stop a resident from further questioning. I suppose it was only ok for residents to come to meetings and banter with the council when "it was the other guys?" So much for an inclusive government valuing and embracing the opinions of the residents. The City Council also hired their transition team leader and CFC insider Anthony Rottino for the newly named post of "Director of Economic Development." I requested copies of the contracts and applications for a number of positions within the City. Seems like a reasonable request, right? Mrs. Canestrino doesn't seem to think so. Is Anthony Rottino the go-to-guy? Was he hired as the City Manager, the City Attorney, the Public Relations consultant, and Director of Economic Development? 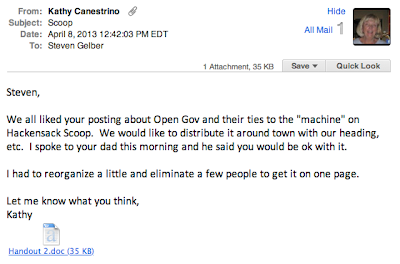 Perhaps Mrs. Canestrino just feels that Mr. Rottino is the Council Consigliere and needs to be consulted on all matters? Maybe the fact no other job applications were filled out is because this really was what it smells like, the hiring of a political insider. The very thing that the CFC slate promised to put an end to. Is this the Open Government that we voted for? In a shameless political ploy, misinformation has been doled out to residents and students in an effort to paint the city council as the big bad monster putting the Hackensack High School students in danger. It is no secret that I have not agreed with many of the actions of this new council, but in demanding payment from the Board of Education for services they utilized--I am in full support. There has been no Student Resource Officer present at the Hackensack High School? A Hackensack Police Officer has been assigned full time to the Hackensack High School since the opening of school. 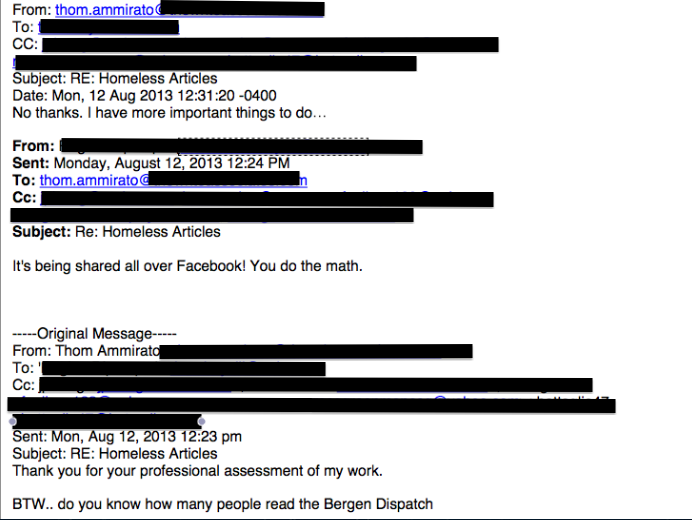 In fact, Mr. LoIacono has demanded the same of Police Director Mordaga in a September internal memorandum. Director Mordaga addressed the audience at this evenings meeting and assured students and their parents that the grounds are being routinely patrolled and a full time officer is assigned to the High School. The Schools are being put at risk? Publications, available online, by both the NASRO and DOJ both reiterate and show that effective policing of schools begin with the outside. The first and most effective method of patrol, as reiterated by Director Mordaga, is the perimeter and grounds of the building. This is currently being done, a Police Officer is assigned to the High School from 7:30 am to 3:30 pm with Youth Division Officers routinely visiting the school. Information shared with The Scoop shows that the number of felony arrests (primarily drug related) have actually significantly increased this year. The Scoop has been advised that in the first six weeks of the school year there have been more felony drug arrests than in entire individual school years past. There was a mixed response from residents. Many support the council in their effort to collect this debt as the tax payer is essentially being burdened with the entire cost of a resource the Board of Education is using. There is a reason that they are separate entities with separate budgets. One resident, Pedra DelVechio, attempted to compare this demand for payment to a demanding that the Board of Education pay the city for a response to a fire alarm in the schools. Unfortunately, this is an apples and oranges comparison. 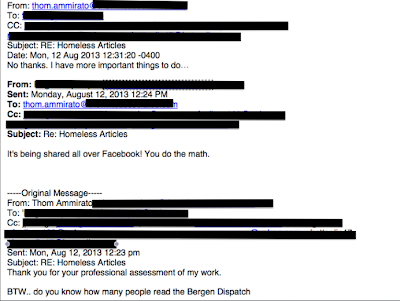 Is a Fire Official being assigned full time to the Hackensack Schools? As Mayor LaBrosse pointed out, if that were the case the Fire Department would be contracting with the Board of Education the same as the Police Department did. Candi Stuart pointed out that this is an item that was previously budgeted for within the Board of Education budget. She indicated, and Mr. Salkin the Board Attorney agreed, that she had raised questions regarding these reimbursements as early as 2008. If Ms. Stuart's astute recognition of a possible problem were not enough for an investigation, Deputy Mayor Canestrino explained how and why the Board of Education knew that this payment was due and ignored making it. Canestrino explained that the Board of Education budgeted for the SRO in three years (before removing the item from their budget), yet at the end of the year when closing their books recognized these funds as a surplus rather than raising the question with the city. Questions surface, why did the Board of Education stop paying? The Board of Education, through attorney Richard Salkin, have made their position known that without an invoice they could not pay a bill. However, we also now know that the Board of Education budgeted for the use of an SRO, knew the payment was due, and when no invoice was received they took the position they would not pay. Resident Richard Gelber pointed out that Mr. Salkin was the City Attorney for over a decade before becoming the Board of Education attorney and having seen both sides of the deal, no one better than he should know what went wrong. A gentleman James Brady who found $850 on the street while homeless, and turned that money into the Police Department, was recognized at this meeting. In her closing remarks Councilwoman Greenman reiterated how uplifting it was to hear Mr. Brady's story, she went on that here we are with a Board of Education having found money in their budget at the end of the year, knowing that they should have paid the money to the city, and stuffing the funds back into their pocket. She placed the burden on Salkin's shoulders for which he erupted in outrage from the rear of council chambers. Unfortunately, the city council has become the sole blame of this issue in the eyes of the students and many residents. I am left only to wonder why all of the upset students and residents are only concerned with why the city has not renewed a full time SRO. Should they not be wondering why the Board of Education has stopped paying and refuses to pay the entire debt they owe the city? I can only imagine the answer to this lies in where the misinformation and scare tactics are being disseminated. Clearly this Zisa/Hurwitz controlled Board of Education has successfully spun their mismanagement into a misguided public safety concern. 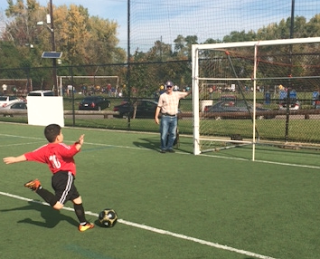 On Saturday, the Hackensack Elks hosted their annual Soccer Shoot Out for the youth of Hackensack. The Soccer Shoot tournament is geared towards keeping youth focused and away from undesirable activities. 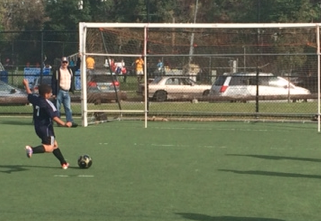 The Elks Soccer Shoot program consists of two different contests. A "Five Goal Contest" consists of a series of five goals, decreasing in size from 48 inches to 17 inches. 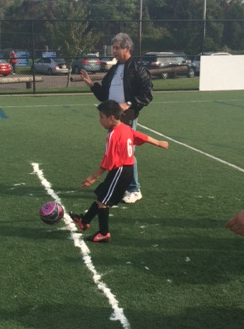 The age groups that use these goals are divided into two categories, U-8 contains all ages seven years old and younger, and U-10 group contains ages eight and nine. The contest is open to boys and girls who shoot separately. The U-8 contestants kick from 15 feet from the face of the goal, while the U-10 contestants kick from 18 feet from the goal. The "Grid Goal Contest" consists of a full-size goal sectioned off so points can be scored when the ball is kicked into certain sections. The age groups that use this goal are U-12, which contain the ages ten and eleven, and U-14, which contain ages twelve and thirteen. The contest is open to both boys and girls and they shoot separately. 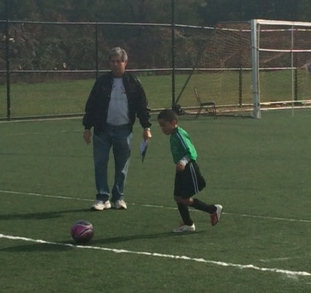 Winners of the local Soccer Shoot for each age group will go on to the District, State, and possible National competition. What is going on down on Green Street? Junk yard, auto salvage yard, whatever you want to call it--it sure isn't a parking lot. Now with all those broken down cars and trucks sitting on city property, how much oil, gas, and other fluids do you think have leaked onto the ground in the past eleven years? I wonder if the city performs soil tests? If that land has become contaminated who will foot the bill to remediate for that $81 per month?